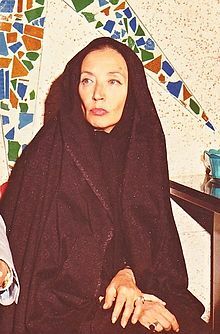 Oriana Fallaci (June 29, 1929 – September 15, 2006) was an Italian journalist, author and political interviewer. She was a partisan against Fascism in the Italian resistance movement during World War II. What's the point anyway — Of suffering, dying? It teaches us to live, boy. A man who does not struggle does not live, he survives. The Rage and The Pride (2001). Editor Random House Incorporated, 2002 ISBN 0847825043, 9780847825042. p. 17. Europe becomes more and more a province of Islam, a colony of Islam. And Italy is an outpost of that province, a stronghold of that colony...In each of our cities lies a second city: a Muslim city, a city run by the Quran. 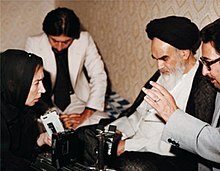 A stage in the Islamic expansionism. The Force of Reason (2004). Editor Random House Incorporated, 2006. ISBN 0847827534, 9780847827534. p. 34. Europe is no longer Europe, it is Eurabia, a colony of Islam, where the Islamic invasion does not proceed only in a physical sense, but also in a mental and cultural sense... I am an atheist, and if an atheist and a pope think the same things, there must be something true. There must be some human truth that is beyond religion... I am disgusted by the anti-Semitism of many Italians, of many Europeans... Look at the school system of the West today. Students do not know history! They don't know who Churchill was! In Italy, they don't even know who Cavour was!... Servility to the invaders has poisoned democracy, with obvious consequences for the freedom of thought, and for the concept itself of liberty... State-run television stations contribute to the resurgent anti-Semitism, crying only over Palestinian deaths while playing down Israeli deaths, glossing over them in unwilling tones... The increased presence of Muslims in Italy and in Europe is directly proportional to our loss of freedom... The Muslims refuse our culture and try to impose their culture on us. I reject them, and this is not only my duty toward my culture-it is toward my values, my principles, my civilization... The struggle for freedom does not include the submission to a religion which, like the Muslim religion, wants to annihilate other religions... The West reveals a hatred of itself, which is strange and can only be considered pathological; it now sees only what is deplorable and destructive... These charlatans care about the Palestinians as much as I care about the charlatans. That is not at all... When I was given the news, I laughed. The trial is nothing else but a demonstration that everything I've written is true... President Bush has said, 'We refuse to live in fear. '...Beautiful sentence, very beautiful. I loved it! But inexact, Mr. President, because the West does live in fear. People are afraid to speak against the Islamic world. Afraid to offend, and to be punished for offending, the sons of Allah. You can insult the Christians, the Buddhists, the Hindus, the Jews. You can slander the Catholics, you can spit on the Madonna and Jesus Christ. But, woe betide the citizen who pronounces a word against the Islamic religion. With Oriana Fallaci's demise at 77 from a host of cancers, in September, in her beloved Florence, there also died something of the art of the interview. Her absolutely heroic period was that of the 1970s, probably the last chance we had of staving off the complete triumph of celebrity culture. Ever since the secret trip to China, my own relationship with Nixon had grown complicated. Until then I had been an essentially anonymous White House assistant. But now his associates were unhappy, and not without reason, that some journalists were giving me perhaps excessive credit for the more appealing aspects of our foreign policy while blaming Nixon for the unpopular moves. . I paid the price for my naiveté. The quotes ascribed to me, statements of marginal taste gathered together in what she presented as a conversation, were the most self-serving utterances of my entire public career. Even though you are on the blacklist of my authorities, I'll add you to the whitelist of my heart. Who is this woman? Where does she come from? What does she want? Enough, go away, ça suffit! ça suffit!! This page was last edited on 26 April 2018, at 09:51.